CarGurus has 14,577 nationwide Impreza listings starting at $1,499. Subaru’s Impreza sedan and 5-door hatchback models move into 2016 as leaders in many ways. The Impreza is the most affordable all-wheel drive (AWD) car in America, and it boasts the best fuel economy of any AWD car in America as well. And although the Impreza lineup was updated in 2015, the 2016 model does have some new content. The Impreza is well worth a closer look for those who are considering an all-weather compact car as an alternative to the Toyota Corolla, Honda Civic, or Nissan Sentra. There are really two Imprezas. The first is a sedan that comes in three trim levels, the base 2.0i, Premium, and Limited. Next is a 5-door hatchback model that looks like a small wagon or crossover and is available in five trims, the base 2.0i, Limited, Premium, Sport Limited, and Sport Premium. The Sport models have a slightly different look (and different wheels) that is meant to give the car more of an off-road appearance. They also have a standard roof-rack. Think mini-Outback. All 2016 Imprezas use a 2.0-liter 4-cylinder “boxer” engine that produces 148 hp. Subarus have their pistons horizontally-opposed, like many Porsche models, and this "boxer" engine design is a cornerstone of the Subaru drivetrain and chassis. A boxer engine has a lower center of gravity, which in turn lowers the car’s center of gravity, and this design is also part of the way Subaru builds its cars to be “symmetrical." In Subarus, the pistons move left to right when viewed from above the car--the drive shaft exits the middle of the engine and power is sent to both the front and rear wheels with a “symmetrical” drive shaft arrangement. Cars with in-line 4-cylinder engines mounted transversely (sideways) in the engine bay can’t operate this way. All Imprezas are AWD cars. They can be equipped with either a 5-speed manual transmission or a continuously variable transmission (CVT) that Subaru calls a "Lineartronic." The manual is available with both body styles, but is limited to certain trims: the base 2.0i in the sedan and the base 2.0i and Sport Premium in the hatchback. Unlike some CVTs, Subarus' Lineartronic has earned the praise of most reviewers, and CVT-equipped Subarus are peppy and feature good fuel economy ratings. All trims but the base 2.0i Impreza with the CVT also have paddle shifters that allow the driver to better control engine RPMs in certain sporty or off-road situations--base models make do with a Low mode for things such as engine braking. Buyers should also be aware that Subaru has two different AWD systems in its Imprezas. Both are equally effective, but variants equipped with a manual transmission have a mechanically-controlled system, while the CVT-equipped variants have a system controlled by software. This is part of why the CVT models have better fuel efficiency. Impreza sedans using the CVT earn a 28 mpg city/37 highway/31 combined rating from the EPA, making them comparable to front-wheel drive cars in their segment. For 2016, Subaru adds additional Starlink telematics and infotainment features. All Imprezas now have the system, which features a suite of Starlink Cloud Applications, including Calendar, Stitcher, Music Player, News, and Weather. The system also offers Bluetooth connectivity, Pandora integration, and more. Base and Premium models have a 6.2-inch screen, and Limited models have an upgraded 7.0-inch screen with additional functionality like scrolling. 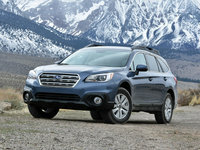 Safety is one of the Subaru brand’s biggest advantages. Its Eyesight forward collision prevention system with auto-braking is the best in the business, according to safety agencies like the Insurance Institute for Highway Safety (IIHS), and has won over most reviewers as well. The Impreza is unusual in that it offers advanced safety technology on a very inexpensive model; the Eyesight system is available on all Limited, Sport Premium, and Sport Limited trims. Trims equipped with the Eyesight system also get nifty Steering Responsive Fog Lights, which illuminate only when you turn, a great (and affordable) alternative to adaptive headlights. We have only seen this feature on Subarus, Land Rovers, and Jaguars so far, but the idea is sure to spread. The Impreza has aced every IIHS crash test, even the tricky small frontal overlap test. This alone makes the Impreza safer than most of its peers in the compact segment. Trims equipped the Eyesight system are given the industry’s highest possible rating of Top Safety Pick Plus. Buyers will find the 2016 Impreza starting at just $19,000 for its base trim. The most expensive Impreza is the Sport Limited, at just $24,390. Shoppers looking for a compact all-weather vehicle with the best possible safety credentials and impressive fuel economy will find that most (if not all) roads lead to the Impreza. What's your take on the 2016 Subaru Impreza? 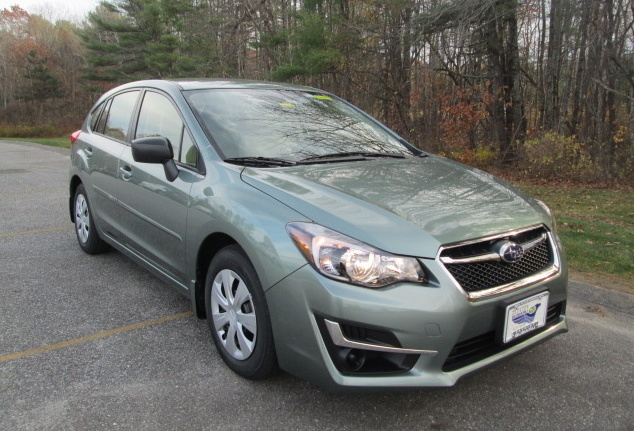 Have you driven a 2016 Subaru Impreza? I have a 2016 subaru impreza with 195/65/15 wheels and tires. can I put 215/70/16 wheels on it and will it effect the way it drives/handles? Can a 2016 subaru impreza with a stock tire size of 195/65R15 go up in size to a 205/75/R15 without causing clearance issues in the front with the wheel well/spring and spring perch? Why is my panic alarm going off at all hours of the night randomly ? Not how I like to be shot ou5 of bed.